Are Brown Dwarfs More Common Than We Thought? In 2007, a very rare event was observed from Earth by several observers. An object passed in front of a star located near the centre of the Milky Way, magnifying its light. Gravitational lensing is not uncommon in itself (the phenomenon was predicted by Einstein in 1915), but if we consider what facilitated this rare “microlensing” event, things become rather interesting. Gravitational microlensing is very useful transient event for astronomers who want to study objects that do not emit a lot of light. These objects could be distant exoplanets, red dwarf stars, neutron stars or black holes. As one of these objects drift in front of a distant star, the gravitational field of the object will deflect the path of the star light, focusing it and momentarily increasing the star’s brightness. From this increased brightness caused by the focusing effect of the massive body (the lens), some measure of the object’s mass, velocity and distance can be derived. However, such events are rare, especially when the microlensing event is caused by a brown dwarf, otherwise known as a ‘failed star’. 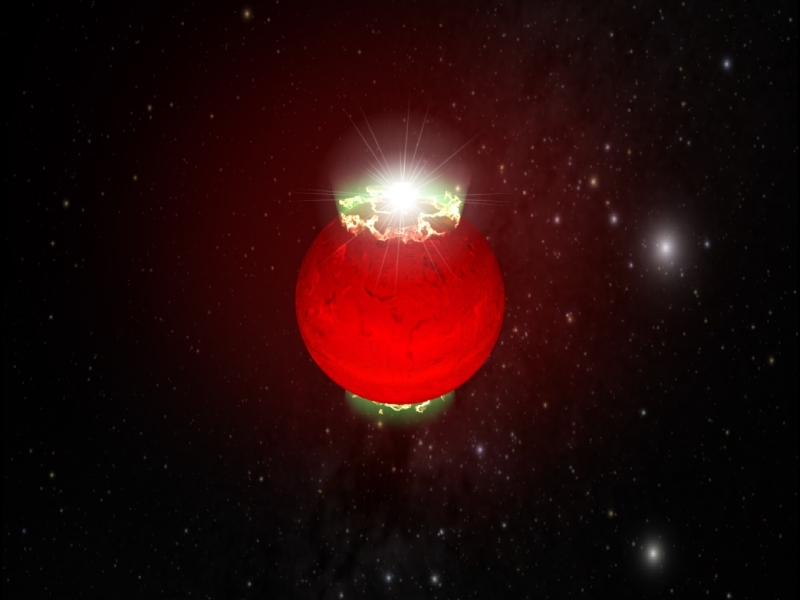 Andrew Gould of Ohio State University in Columbus and colleagues have published a paper detailing the observation of a 2007 transient star brightening event (OGLE-2007-BLG-224) caused by a small brown dwarf lens. Gould et al. derived the brown dwarf’s mass, velocity and distance from Earth. The brown dwarf is approximately 0.056 solar masses, ~525 parsecs away (1700 light years) and it was measured to be travelling at a transverse velocity of over 110 km/s. All this information is available by analysing the increased brightness of focused starlight from a distant star. Although this was an amazing observation in itself, it does pose an interesting problem for our understanding of the evolution of our galaxy. From our understanding of stellar development, there should be comparatively few brown dwarfs out there. The probability of detecting a distant failed star (a brown dwarf lacks sufficient mass to initiate hydrogen fusion in its core, hence the almost derogatory ‘failed star’ label) through the gravitational microlensing event is vanishingly small. In fact, astronomers are surprised the observation even happened. “In this light, we note that two other sets of investigators have concluded that they must have been ‘lucky’ unless old-population brown-dwarfs are more common than generally assumed,” the paper concludes.